Avendus Capital advises Newgen Software on its equity raise from IDG Ventures India and Ascent Capital. 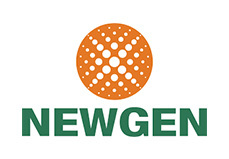 Newgen Software, a leading global provider of Business Process Management (BPM), Enterprise Content Management (ECM) and Customer Communication Management (CCM) solutions has raised equity capital from IDG Ventures India and Ascent Capital. The investment will be used to strengthen presence in USA and other major developed markets, as well as in new product development. “We are extremely excited to partner with Newgen, which is a global software product leader and a role model for budding Indian product startups. Enterprise software is a key area of focus for IDG Ventures India, and Diwakar has been a pioneer in the space. We look forward to Newgen’s continued rapid growth across areas such as cloud and mobility” said Mr. Sudhir Sethi, Founder, Chairman and Managing Director, IDG Ventures India. Commenting on the transaction, Mr. Aashish Bhinde, Executive Director at Avendus Capital said, “Newgen is one of the few software product companies from India that has built a strong competitive position in the global technology market (in the BPM/ECM segments). They have been delivering best-inclass solutions to clients the world over and growing aggressively. We are excited to have facilitated the induction of IDG Ventures & Ascent Capital to partner with Newgen on its next phase of growth.” Newgen has been recognised consistently in world’s leading analyst reports like Gartner Magic Quadrants and Forrester Waves as well as reports by IDC, Ovum and so on. IDG Ventures India is a leading India-focused technology venture capital fund. The fund is part of IDG Ventures, a global network of technology venture funds with more than US$6 billion under management, over 200 investee companies and 10 offices across Asia and North America.